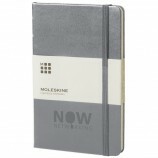 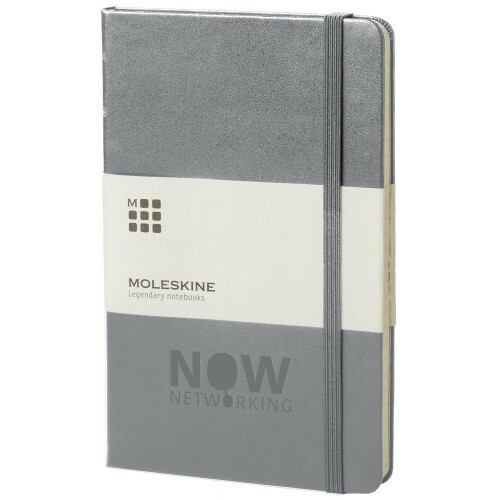 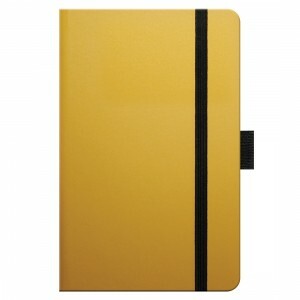 A Moleskine is more than just a notebook, it’s an object that symbolises innovation, inspiration and creativity. 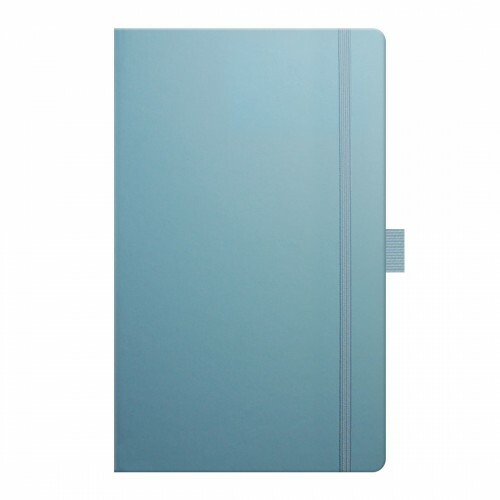 The Classic Hardbacked Notebook is made up of 192 pages of high quality ivory paper and features the iconic rounded corners and elasticated closure strap. We will add your design by print, debossing or foil blocking. 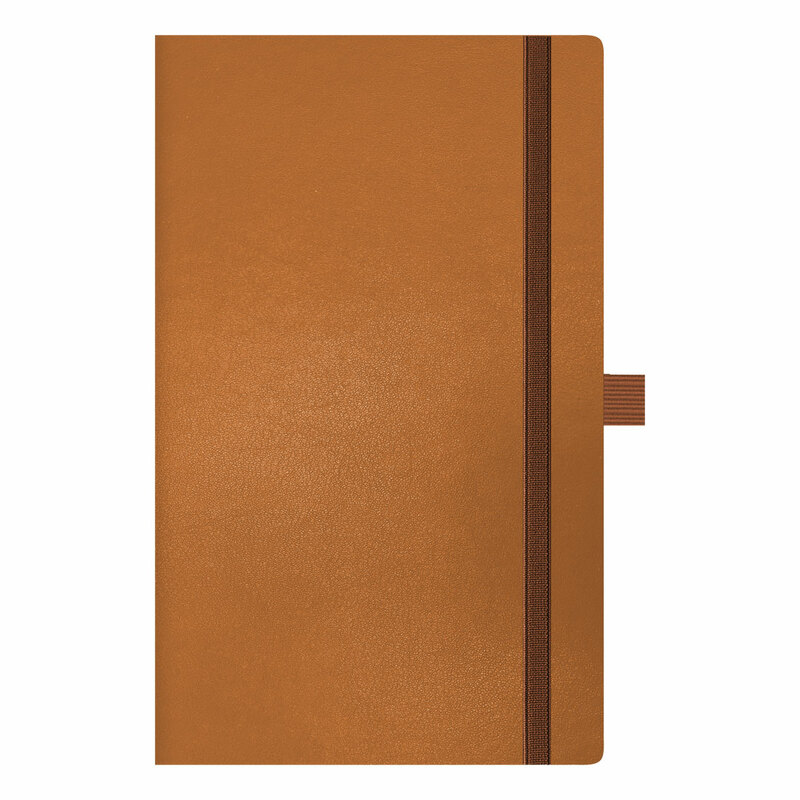 The Classic Hardbacked Notebook is made up of 240 pages of high quality ivory paper and features the iconic rounded corners and elasticated closure strap. 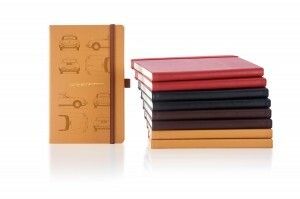 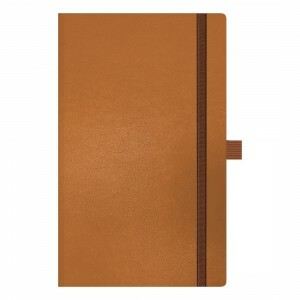 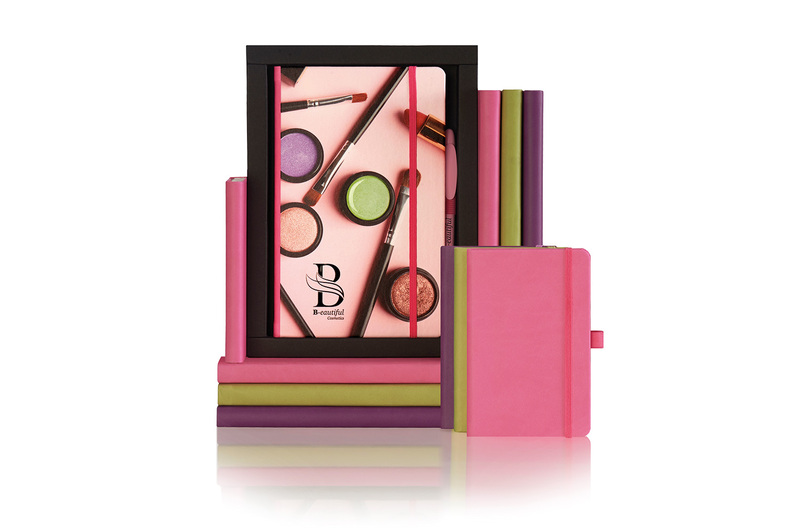 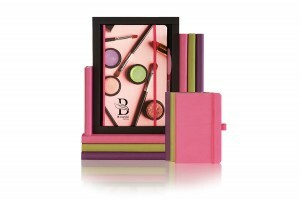 Made up of 208 ivory coloured, ruled pages it has the iconic rounded corners, elasticated closure and ribbon book marker. 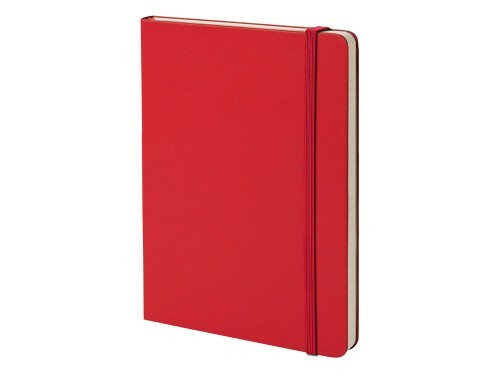 This notebook also has an expandable internal pocket. 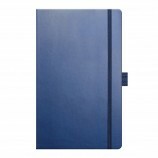 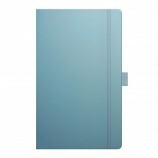 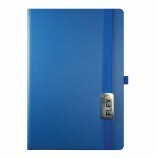 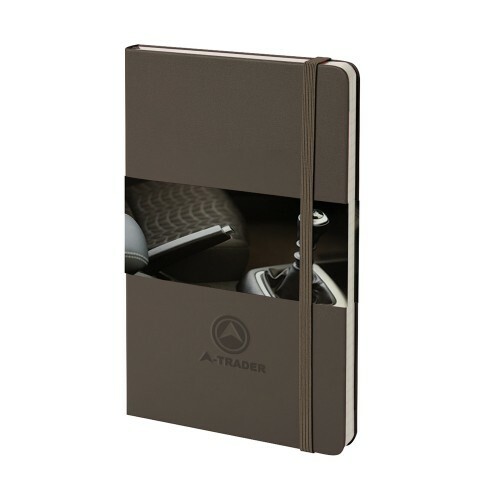 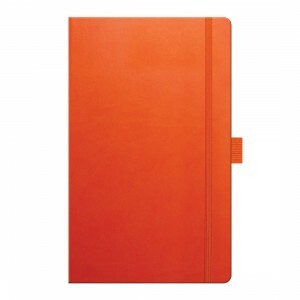 An A5 Notebook with padded cover that is fully adaptable to your brand. 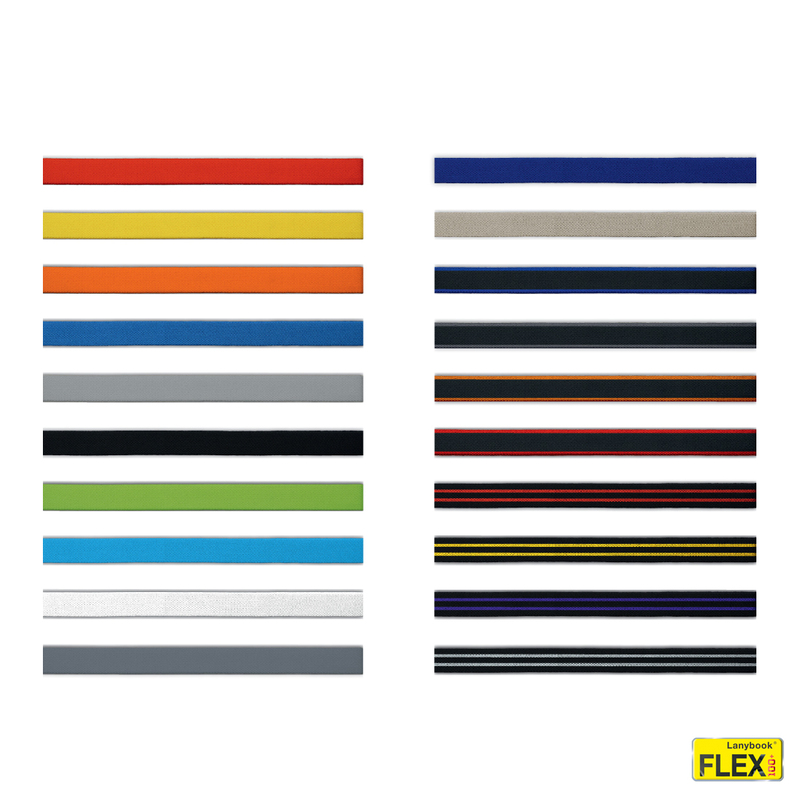 Choose the button style, the elasticated closure band colour and the elasticated pen loop colour and design your own Notebook. 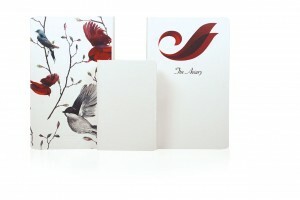 Front cover can be blind embossed, foiled or printed. 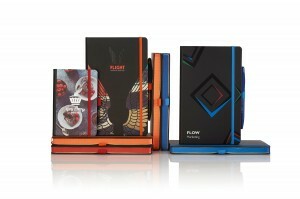 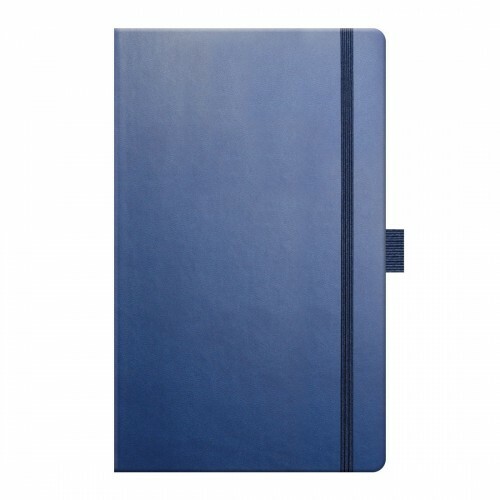 Notebooks in China Blue, Black, Blue, Purple, Taupe and Coral Red. 192 pages of Ivory paper with rounded corners featuring an internal document pocket, vertical elastic band and pen loop. A classic format revolutionised with unique colour coordinated edges and band, pen loop and ribbon marker for the ultimate wow factor! 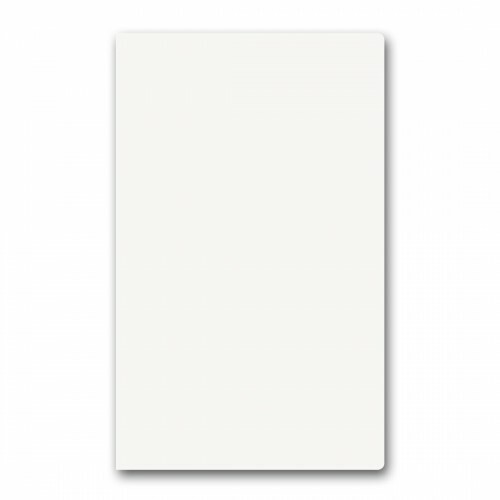 240 pages of Ivory paper with rounded corners featuring an internal document pocket, vertical elastic band, a pen loop and ribbon marker. 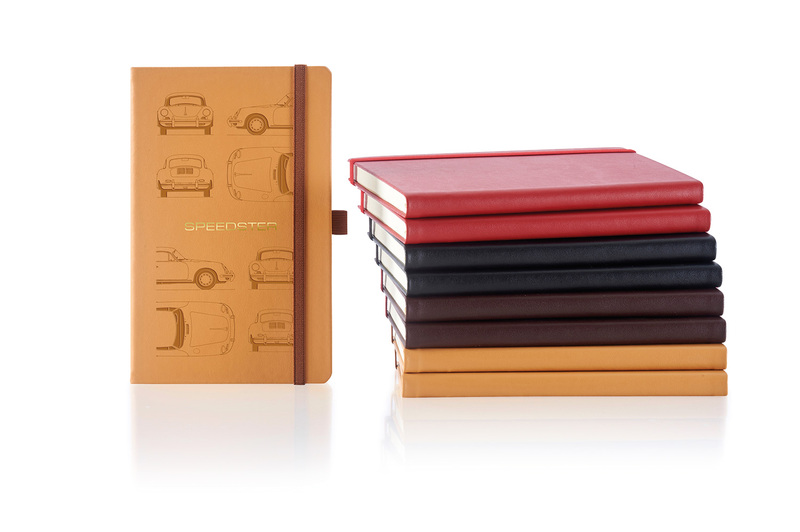 Made from real Italian leather. 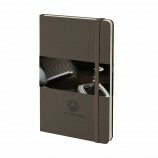 A luxurious but subtle grained Italian leather cover completed with coordinating closure band and pen loop. 240 pages of ivory paper with rounded corners featuring an internal document pocket, black card cover and a stitched, colour coordinated thread spine. 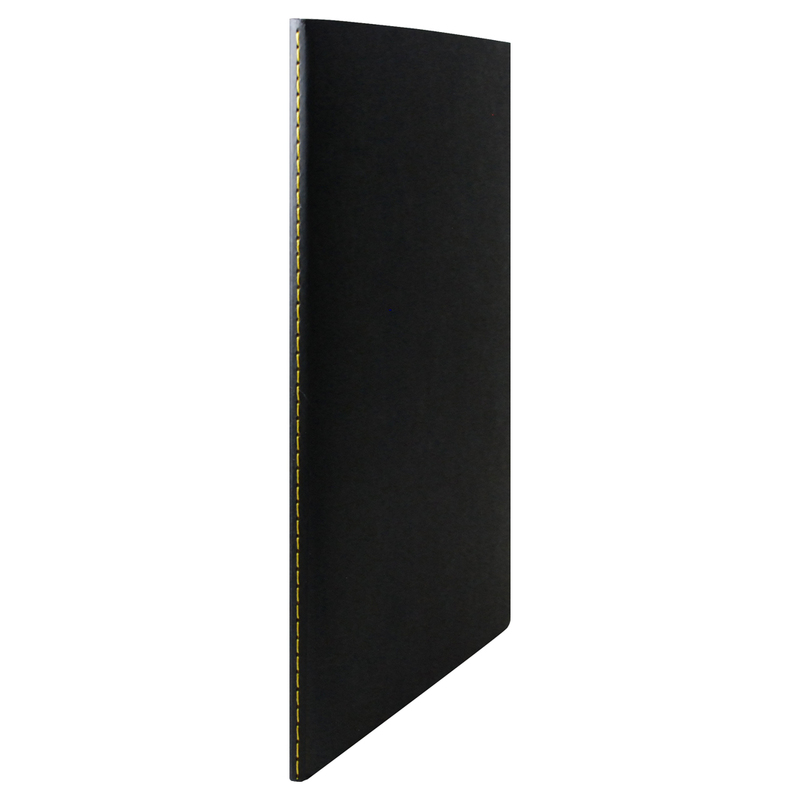 Flexible heavy duty black cardboard cover with visible stitching on the spine which can be branded using a foil block in colour or metallic. 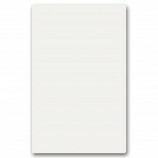 240 pages of ivory paper with rounded corners. A soft touch tucson cover, the perfect platform for creative branding using digital printing on the front and back. 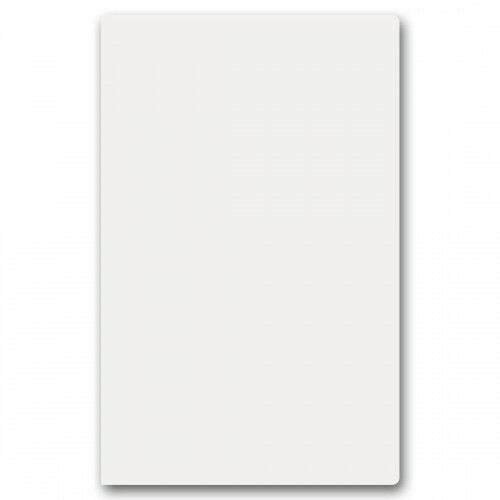 192 pages of ivory paper with rounded corners. A fluent matte finished cover, perfect for creative branding via foil block or digital printing front and back. 192 pages of ivory paper, with rounded corners. A fluent matte finish cover perfect for creative branding via foil block or digital printing front and back. 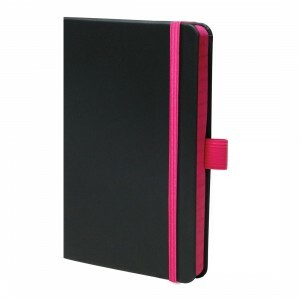 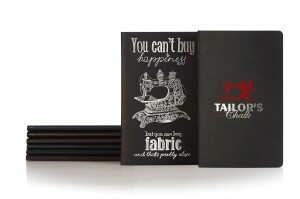 240 pages, with ribbon marker, colour coordinated elastic closure band and pen loop. Available in plain, ruled or a graph format. 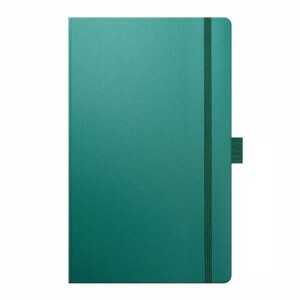 Hard cover which can be blind embossed, digital printed or foil blocked. 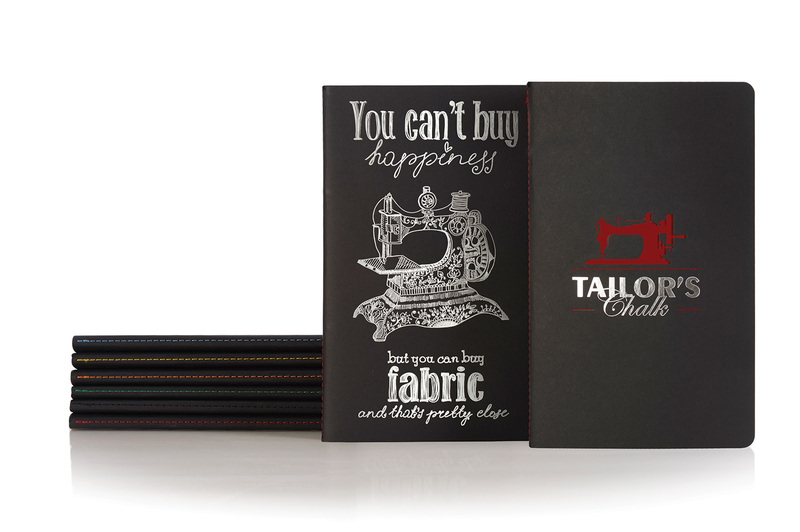 192 pages, with ribbon marker, colour coordinated elastic closure band and pen loop. Available in plain or ruled format. PU padded cover which can be blind embossed, digital printed or foil blocked. 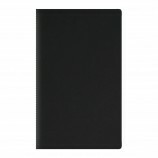 Available in plain, dotted, ruled or ruled with perforated pages.